standing firmly in support of those who need it most. Lighthouse Relief was founded in 2015, at a time when thousands of refugees were arriving on the Greek island of Lesvos every day. 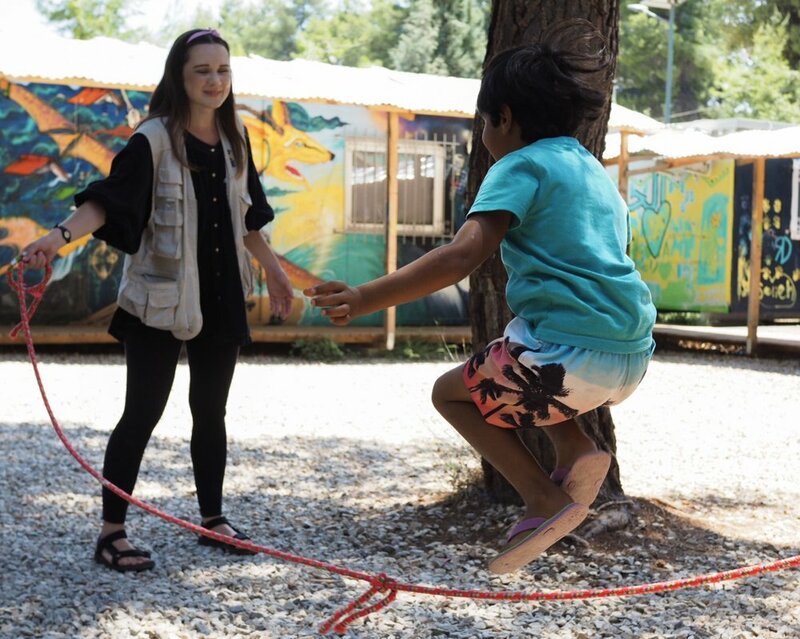 Three years later, our team of skilled volunteers continue to provide immediate humanitarian relief for those landing on the north shore of the island, as well as longer-term programming for young people and children in Ritsona refugee camp in mainland Greece. Alongside our field operations, we see media as a powerful way of amplifying the voices of our beneficiaries, drawing attention to the forgotten reality of Europe's borderlands with an increased focus on storytelling. The closure of borders in March 2016 left tens of thousands of people stranded in camps across mainland Greece, often in unsafe and inhumane conditions. In light of this, we adapted quickly to meet the new and emerging needs of vulnerable populations trapped in periods of long-term limbo, with a focus on children and youth. Currently, we are focused on providing safe spaces that help these groups regain a sense of dignity and community in an otherwise difficult situation. This is facilitated through our two core programmes in Ritsona camp: Child Friendly Space (CFS) and Youth Engagement Space (YES). We met in September 2015 as a small group of independent volunteers in a tiny fishing village on the North Eastern shore of Lesvos, where thousands of refugees were arriving every day in rubber dinghies. We quickly became one of the first organizations to offer coordination and structured emergency response to the area, and to support the most vulnerable cases. Today, Lighthouse Relief has built an around-the-clock team of emergency response volunteers that respond to all boat landings on the north shore, operate day and evening spotting shifts, and work in cooperation with the other organizations to ensure arrivals are supported in overnight transit. Through our advocacy and communications activities, we seek to leverage the perspectives of our beneficiaries and highlight issues that impact their well-being. We advance campaigns that harness the power of our extensive network of ambassadors to draw light on often overlooked concerns. Since 2017, we also supported youth aged 16-25 in launching the Ritsona Kingdom Journal, a bold new magazine that showcases their experiences through art, writing and photography. The latest from Lighthouse Relief's official blog on Medium. What has volunteering meant to me? Our teams of skilled staff and volunteers are the soul of Lighthouse Relief! We are currently hiring for a range of volunteer and staff positions across our two regions of operation. Visit our hiring page to read more about volunteering for Lighthouse Relief, find our staff position announcements and apply to join. Whether you're a past volunteer or are just interested in championing our efforts from afar, there are plenty of opportunities to engage. Check our our ambassadors programme for more information about how to join our global network of supporters, or consider donating here.